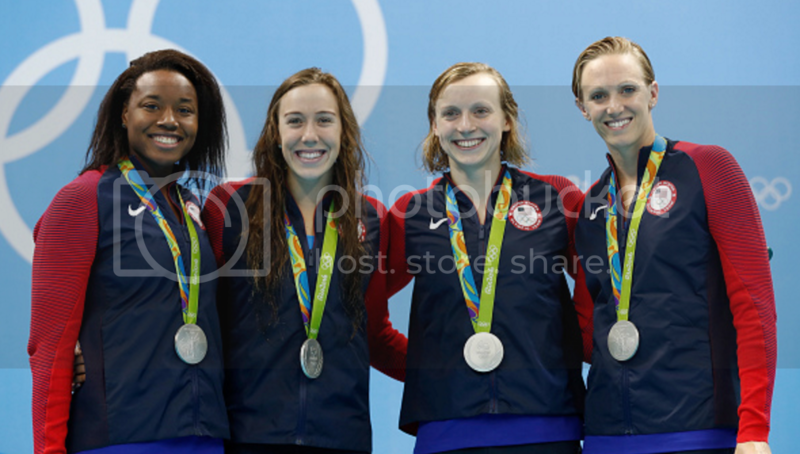 On the first day of competition at the Rio Olympics, Simone Manuel won silver in the women's 400-meter freestyle relay. Manuel and her teammates, Katie Ledecky, Abbey Weitzeil, and Dana Vollmere finished the race in 3:31.89, with the Stanford student swimming the leadoff leg of the race in 53.36. Despite an impressive showing from the lead and anchor legs, the women couldn't overcome the heavily favored Australian team which set a world record in 3:30.65. 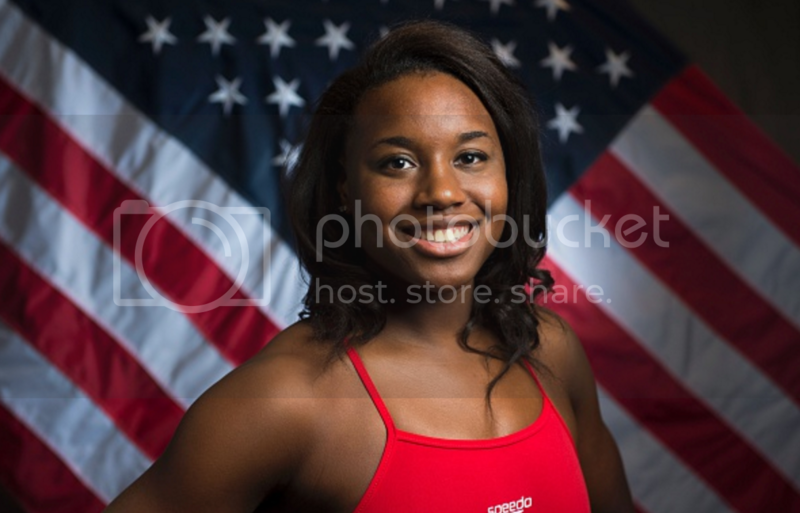 This is the 20-year-old's first trip to the Games, and she still has a couple more chances to score medals in the 100-meter freestyle, in which she holds the American record, on Wednesday and the 50-meter freestyle on Friday. Manuel and U.S. Swimming teammate Lia Neal are making history this year as the first two Black women to represent the U.S. together at the Olympics.